"They say to judge a man by the company he keeps. By this measure, as by any other, we are liars and monsters." Vampires gather under many banners. But five have endured the tumult of Western history better than any other. The Carthian Movement. The Circle of the Crone. The Invictus. The Lancea et Sanctum. The Ordo Dracul. Each has its fierce devotees, its jealous rivals, and its relentless enemies. Now,for the first time, the covenants speak for themselves. I personally like this quite a lot. I think that a lot of people don't look at the stories as inspirational tools. They seem to go "where are my tables". Yes. In fact, I thought the same when they first released the clanbooks, but as soon as I read the first one (it was the Nosferatu), I instantly loved the formula, it really creates useful encounters and adventure seeds. The "crunchy" rules material is useful too, but the modular-like setting stuff is very useful by itself. To be honest it is quite disappointing if you are expecting useful tools as a storyteller. And it doesn't really add much if you are a player either. 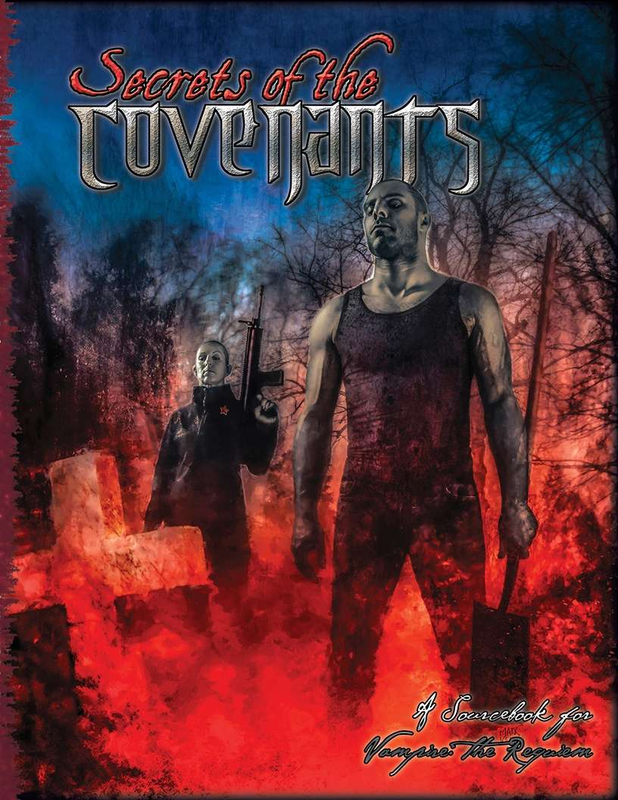 The book is more a collection of short stories revolving around each covenant. As David said, they don't go into this. Requiem 2.0 is designed to be a lot more of a tool-box then a setting document. Outside of the lose idea of a Prince, the idea is that each city is meant to have developed it's own political system. They might share some roles here and there, but in the end they're meant to all be unique. The stories in the book basically highlight this more, but giving examples of how the covenants have run various cities, and each one was different with different sorts of positions. So when designing your city, it might provide inspiration, but you could also just as easily take inspiration from any source of how a city has been run, from real history to any fiction you have read.